Stuart-Fox does a good job providing a one-volume history on Laos. His chapter on the Indochina War is especially good and provides insight into how and why the Communists won. 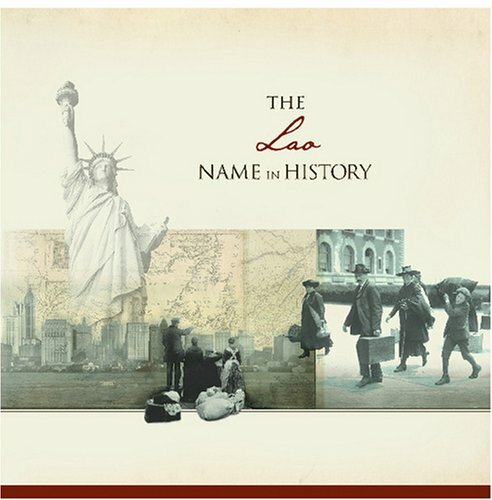 Stuart-Fox frames Lao history in the context of a country that never became a nation. He shows how the lack of national identity hurt Laos at key points in history and allowed the Pathet Lao, the first political group to propose a convincing national identity that included the ethnic minorities, to recruit supporters. He also shows how patronage networks quickly overcame post-independence Lao politics. First, it almost ignores post-war history. Stuart-Fox does a great job discussing French colonials, independence, and the war, but after that he only addresses current issues in the abstract. For a book published in 2008, it certainly should have addressed modern politics. 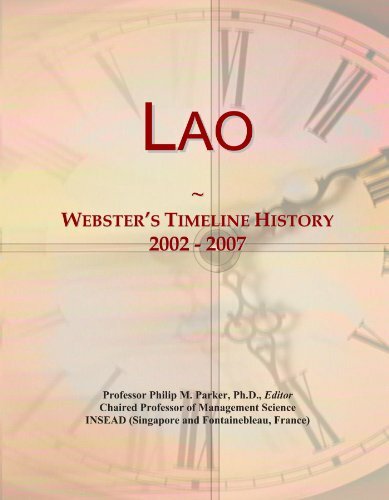 For example, reading this book, one would not know anything about the current Lao leadership. Second, the typeface and spacing are small, making the book difficult to read at times. Fortunately, both of these issues can be easily addressed in a new edition, which I certainly hope comes out. A good book, but more academic than I was hoping for. 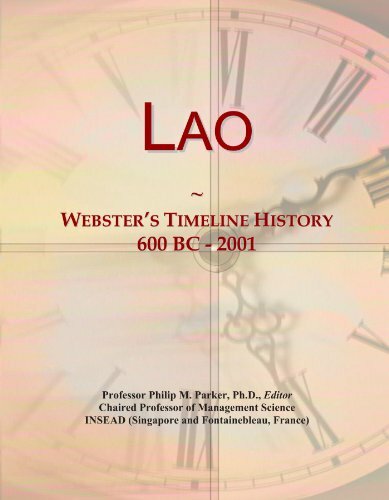 This book is bascially a mid-upper division college text on the development of Modern Laos from the 1800's to the present.A fine book on the recent history of Laos, the author strives to be fair and evenhanded inplacing responsibility for the various troubles plaguing the country. However, I would have liked more general background on the country,especially the history that predated European contact.Only the historynecessary to explain some modern interactions is present from that period.More maps and figures would have been nice as well. Only four maps and nofigures are present, and the author refers to many locations that aren'tlisted explictly on the maps.The type is set rather close as well, makingfor a bit of a strain in reading.That said, the information was well laidout and seemed very well researched.I learned a great deal about thedevelopment of modern Laos. 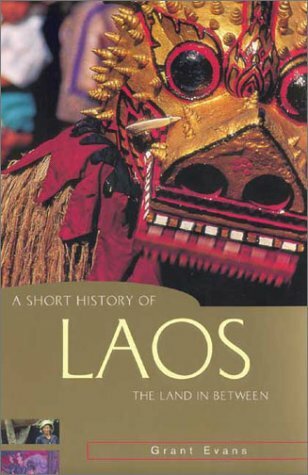 A quick history of Laos. A well written account how it all happened and how and why Laos was the catalyst for the America Viet Nam War. As someone who is contemplating a work assignment in Laos, this book provides needed background on the cultural and political environment likely to be encountered.In addition to the coverage of people and events, I would have appreciated more elaboration on the typical lifestyles of lowland and upland people of Laos and how that has evolved recently.This was an interesting read, but it felt a bit disjointed at times and the writing does not measure up to the skill of better-known modern historians such as David McCollough and Walter Isaacson. For a newcomer to Laos, Dr. Evans's volume would seem an excellent introduction to its history, politics and culture.For someone like myself, who had his own intense introduction to Laos in the late 60s and looks forward to a return, the book is an insightful refresher and update.It has helped me put my own experience in context and rethink the Laos I once thought I knew.This short history is thoughtful, well-written, and largely devoid of moral judgments. The subtitle "The Land in Between" sums up an unfortunate reality -- for much of its history Laos has been caught between more powerful neighbors and sometimes their even more powerful patrons.But Evans does not stop with such a facile explanation of the Laos that has emerged.I particularly appreciate his continuing emphasis on the deep and enduring cultural roots of the peoples who inhabit Laos -- and the interplay among them. Having personally experienced the evacuation at Long Cheng on that fateful day in May 1975 (though, missed the plane), this book not only brings back memory but also will serve as a historical reference for generations. This book reveals the struggles and life-changing decisions (whether right or in error) that Hmong leaders had to face, which causes me to appreciate them more. 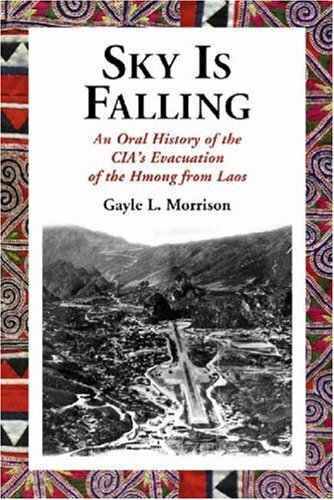 Author Morrison has done a service by compiling a book of recollections about one of the most unknown events of our time: the air evacuation of Hmong General Vang Pao and many of his Hmong soldiers from Laos in May 1975.The Hmong were a staunch and effective American ally against the North Vietnamese and Lao Communists, but went down to defeat along with the Americans.Except for a few Americans, notably Jerry "Hog" Daniels of the CIA, the Hmong would have been abandoned to die in Laos. Morrison gives little background and explanation for the events of May 1975, but plunges into the story with quotes from the participants, especially the Hmong.There are a number of rare and valuable photographs and good maps.The stories themselves are often priceless, first hand vignettes of history: for example, Gen. Heinie Aderholt's tale of hearing of the evacuation and his forthright -- and irregular -- finding and hiring of a C-46 pilot to fly the Hmong out of Laos. Much of the material is compiled from the Hmong themselves, whose voices have only barely been heard in America.These were people on our side who deserved better at the bitter end of the Vietnam war.If you're not familiar with the outlines of the story some background reading may be useful.Roger Warner's, "Backfire" (also called "Shooting at the Moon") is good. Morrison interviewed a lot of Hmong participants in those last days, as well as American pilots Jack Knotts, Dave Kouba, etc.Eye-opening insight into the abandonment of one of America's most clandestine installations of the secret war in Laos.Detailed accounts of Matt Hoff's and Les Strouse's final flights into 'LS20 Alternate' as well.Some truly rare photos -- Long Tien in 1972, '73, '74, '75.Knotts and Kouba at the evacuation ramp on May 14, 1975, the last day.The Hmong -- from top leader Vang Pao to in-the-street tribespeople, no less proud, and no less tragic. Finally, a haunting pair of photos --top secret Long Tien in 1973, and another one, as mysterious as ever, from exactly the same angle and height (about 1000 feet above the runway), in 1995. A compact, tightly-woven and compelling tale. I truly enjoyed this book. I came away with a very different point of view. I was directly involved with the evacuation of DaNang, Nha Trang and Saigon in April '75 and to some extent in Loas in May of the same year and saw the refugees, in mass panic carrying babies and what possessions they could, trying to flee before the communists came. Gayle related the evacuation of Long Chen (20A) from the eyes of the Hmong refugees. It is a view that I never saw and hope that I never have to witness again. 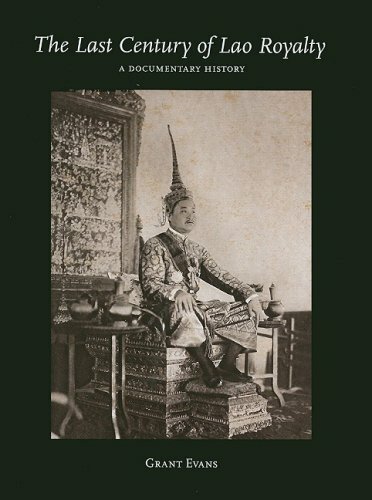 Most comprehensive book on Lao Royalty to date. This is a grand book. What Grant Evans has done is spectacular. There are many many Lao people that do not know enough about their past, especially their former Royals. For example: Some believe that King Sisavang Vatthana is not the legitimate son of King Sisavangvong because he could no lift up King Sisavangvong's coffin at his funeral, and that the former King of Cambodia, Norodom Sihanouk, is the actual son and holder of the throne to the Kingdom of Laos! 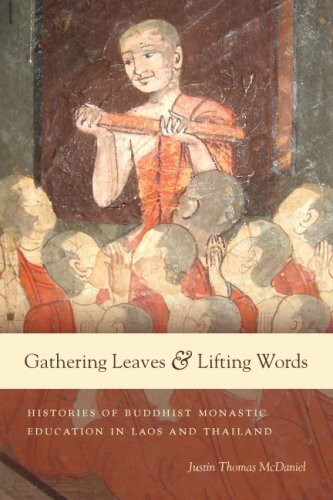 This book clears so much up, for the Lao and so many people. It is extensive, over 400 pages. Black and white pictures line many pages, some that could have been lost in time if Grant Evans himself did not replicate them for this book. Most notably, my favorite, the meeting of King Bumibol Adunlyadej of Thailand and King Sisavang Vatthana of Laos, has photos of the two together. It is possibly the only time I have seen pictures of the two monarchs together. He also interview many people. Princess Manilai, the last Crown Princess of Laos and in line to become Queen of Laos before the Revolution, was interviewed. Others royals that stretch as far as Australia and France were also interviewed. There is a huge history of many royals in the book. Specifically focusing on the Monarchy, Evans draws a clear history of its role in Laos of the last century. From the Kingdom of Luang Phrabang, to the Kingdom of Laos, it shows the rise and fall of the Luang Phrabang dynasty. I enjoy the book. I really love the book. The closes thing a Lao person ever sees today about Lao monarchy is perhaps the Thai one. This book gives the reader a vivid picture of the broken Lao past. 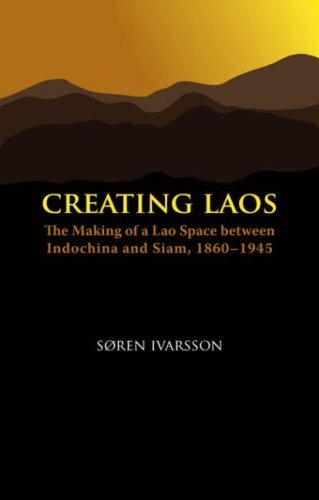 This quite amazing book documents the vestigial remains of the Lao Royalty of the the Laos Kingdom, a land-locked Indo-China country. The book is divided into three parts. 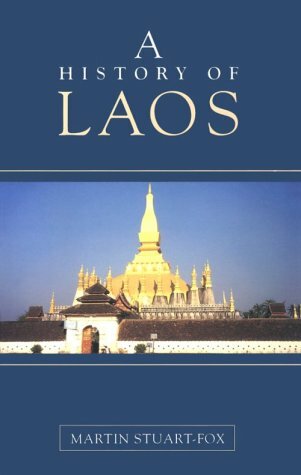 The first part contains a brilliant introduction to the obscure Laos kingdom and a summary of key historical events from the mid 18th century to the fall of the Lao Royalty in 1970s. The Laos kingdom was basically a French protectorate which kept at bay the territorial ambitions of the neighbouring kingdoms of Siam and Vietnam. A middle part includes various essays by other writers (many in French text and nicely translated by the author) and collected here, running parallel to a beautiful selection of photos culled from various sources. The effect of this middle section is a series of vignettes as seen by different observers on their encounter with Lao Royalty. The final section covers some embroidery and handicraft work. This remains the weakest section as it is not clearly related to the topic at hand. It seems to fill in the author's requirements for documenting anthropology. What would have been more appropriate would have been essays and photos on extant examples of the court costumes, and their historical significance as shown in the period photos. Nevertheless the whole ensemble is a riveting documentation of a little known subject. This is historical documentation of the first order which appeals to even the general reader. I found this book addictive as it is very nicely produced, with lucid text and excellent photos. Thisis the kind of book that you want to reread!An excellent read.The author makes you feel like you are sitting in the cockpit with him. This book is mostly a combat diary, sticking to the day to day events within the author's direct experience.Unlike some diarists, he recreates the feeling of living in the thoughts and experiences of a line combat officer without extended retrospectives on strategy.The prose reveals the author's personality.It is direct without being pedestrian, professional without being obscure, and insightful without editorializing.Pilots will find it interesting as Hathorn fluidly describes sequences of the control inputs as he is manuevering the Cessna O-2 under fire on Forward Air Control missions over Laos.His description of the need to "fly like a drunk" makes sense in the context of the mission. 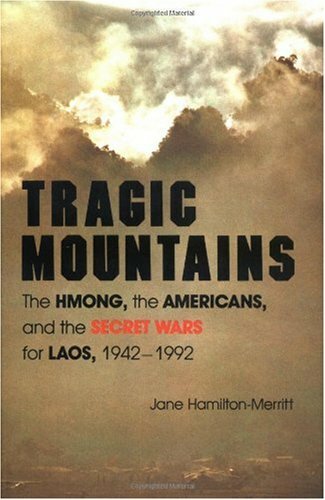 For those interested in the clandestine nature of the war in Laos, Hathorn's book valuably expands several areas including Igloo White/Muscle Shoals, Prarie Fire and Heavy Hook.While no single comprehensive book has yet been written for this theatre and time, Hathorn gives a great account of the air element that had to coordinate the timing and accuracy of combat air missions and should be part of any library of the Southeast Asia War. I should add that I was at NKP for 18 months from 1968-1969 with the 56th ACW/SOW and Task Force Alpha.I flew more than 25 missions as a photographer, many with the author's unit, the 23rd TASS.I found few factual recollections that were different from my own. A well written book. Almost reads like a fast paced novel. I flew Cessna 337s for a while as a civilian. None had reversible propellors. I researched the net, found no O-2s with reversible propellors. The author described a landing in which he used reverse pitch to make the O-2 slow down on the runway. An oversight I'm sure. This author has the eye of the tiger. This pilot author has the eye of the tiger, as they say. This book gives a "right hand seat" view of the war that the forward air controllers in Vietnam, Laos, and Thailand operations. 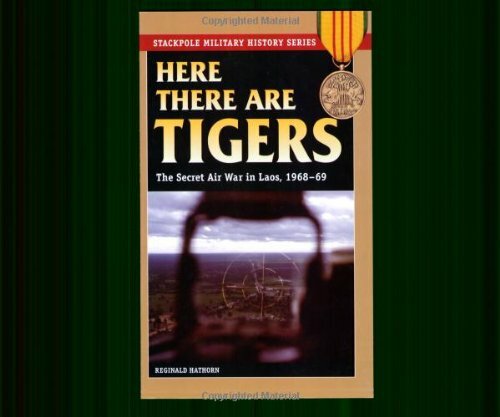 I would like to recommend this book "Here There are Tigers" The secret air war in Laos, by Reginald Hathorn is an outstanding read. Mr. Hathorn has given us the true taste of what it was like in that Secret war during 1968 and 69. This is the real "McCoy" and the battles were real, the personalities of the characters are real and the stories bring the smell of burnt oil, hot vinyl and sweaty flight suits to the reader in every page. The FAC pilots had nerves of steel and many others owe our lives to these wonderful men who flew the unfriendly skies of southeast Asia. Thanks Major Hathorn. A well written and solidly researched book.I wish it was more widely read.The Hmong were among the best allies we have ever had.Competent, brave and honest.We screwed them due to a lack of political will.I can't imagine we are having a hard time convincing people to trust us these days.Well worth the read. 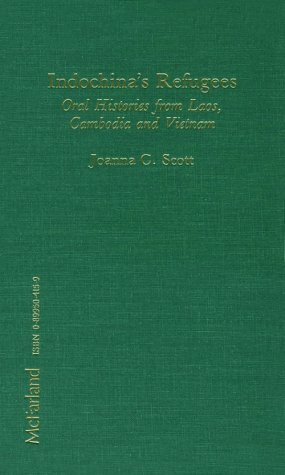 many may say that hamilton-merritt has overlooked many aspects of the hmong role in the complications that occupied laos, but understand that her sole purpose in this book is just that, not wandering off to the opium distribution and character development of all the individuals that she mentions in the book, particularly vang pao. not a huge fan of the general, being a privileged hmong myself, but hamilton-merritt doesn't bullsh-- here. the only flaws i find here is that she is inconsistent with the traditional way of putting the family names before surnames, but its so minor, i could easily overlook it if was as ignorant as the unappreciative few who previously reviewed this book. who, with a knife to their "carotid artery", care if the hmong were, if not primary, major sources of opium/heroine. for those who exclaim that it was not used as medicine must choke their one words back down their trachea to their bronchioles because it was indeed harvested for medicine abused by those foreigners. hamilton-merritt tells it how it is, focusing on one subject--the forgotten people and their efforts to [preserve] their beloved lands of indochina. rememeber, she's no anthropologist as this book is not a history of the Hmong and not a study of their culture. it's no biography either. read it for what it is--the secret wars of laos. with over 14 years of research, massive piles of documented interviews and research (and i must mention, NOT everyone can research, it's a fact), certainly all that she has compiled truly has paid off and shall be justified--tragic mountains is a book well written with the deepest concern and passion that any competent human being can gather with the ulitimate of potential. sometimes those far too educated have their mentality beaten down to nothing greater than a grain of sand that they don't have the intelligence to obtain wisdom from knowledge to understand and embrace such a masterpiece. i applaud hamilton-merritt and pray for god to bless her. This is a documentary about unsung heros who paid a deal price working for the Americans from the 40s and on. They were being hired to stop communism working with the French in the 40-50s. As the tide of North Vietnamese infiltration into South Vietnam turned, Vang Pao, a former French colonial officier was put in charge of covert operations working for CIA in the little known secret war in Laos. 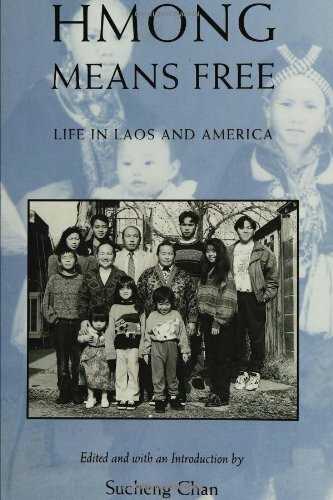 The book went into details on how much sacrifice the Hmong people made to please Americans. They gave up just about everything to wage an American war and learned their American sponsors who abandoned them after 1975. Similar to CIA's involvement in Cuba the Hmong fighters who were abandoned had to flee their country. This time they had to accept either slughter or content with refugee camp life in Thailand. The author, Jane Hamilton-Merritt, produced horror pictures and sketches of the effect of chemical-biological toxins on the people and the atrocities committed by the communists. Through some unorganized chapters Jane lost her enthusium and called it quits up to 1992. This may be the weakest part of the fine documentary. As more and more Hmong immigrants are leaving the refugee camps and re-settled in many parts of the world, we need to understand their heritage and believes. Unlike the Indo-chinese refugees coming into the US who are mostly city dwellers, the Hmong have for 4,000 years able to attain a certain degree of identity/freedom. This is in a way like the Native Americans who do not wish to be fully assimilated. We need to respect and help the Hmong people by not imposing the same attitude as we have done on other immigrants. We also need to understand the cultural and habits of those who fought so hard for the Americans. 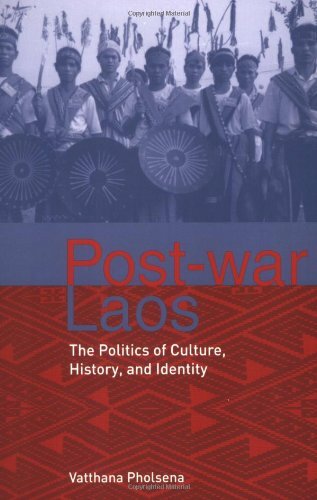 Unlike other enthnic cultures, this is a hard to find book on the war history of Hmong people in Laos. this book has some truth...but woopti doo... anyone can research...but until you were actually there...you'll never know.